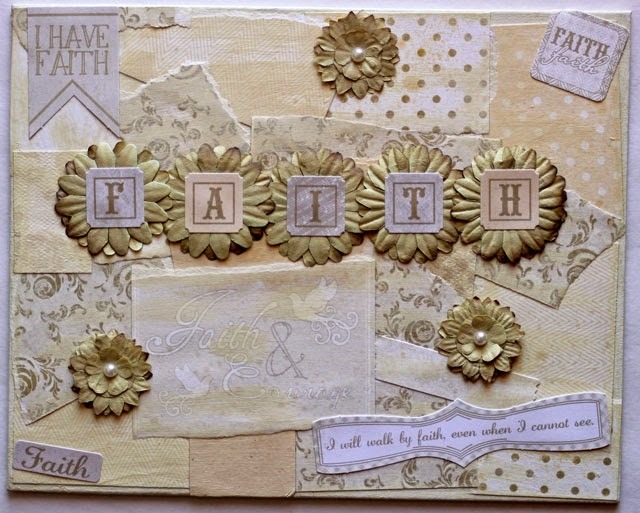 After completing my layout using Authentique's Faith collection, I used the leftover paper scraps, die cuts and stickers to create a mixed media canvas. I also included some Kaiser paper flowers and pearls. 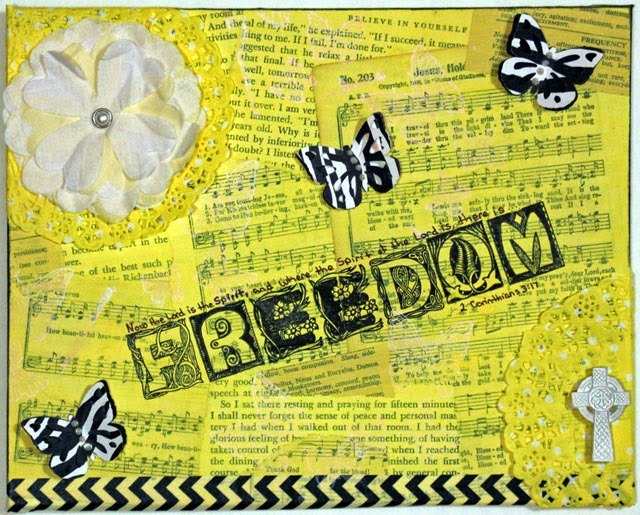 I like the collage background and decided to try something similar with old book and hymnal pages as the background for another canvas that I created for my friend Amy who chose "freedom" as her word for the year. I used diluted yellow acrylic paint over the background, then stamped her word and added doilies, butterflies and other embellishments to complete this canvas. When Amy first shared her word with me, I immediately thought of the words to a song that originated with a scripture in 2 Corinthians. I used a Sharpie to write that verse, which ends with the word freedom, onto the canvas. Have you created any canvases lately? Do you collage items for the background? Gorgeous! I'll bet Amy really appreciates that. I haven't done anything on canvas lately... but I have been collaging on my art journal pages! Beautiful! It seems most of what I do these days are canvases.